Written by the Guardian’s country diary writer Paul Evans, this is nature writing for the modern reader. It is a book both for those that live in the country and those that don’t, but experience nature every day through brownfield edge lands, transport corridors, urban greenspace, industrialised agriculture and fragments of ancient countryside. in creative writing at Manchester Metropolitan University. He is the author of Field Notes from the Edge (a journey through Britain’s secrets wilds). He broadcasts regularly for Radio 4 nature programmes. Britain’s best nature writer and fabulous illustrations! This is well worth The People’s Book Prize! Natural talent of the writer… great effect of cover page! If you love nature, you’ll love this book. Beautiful illustrations and writing! Love it! The best nature writer in Britain by a long way. More than deserving of this award. An amazing book with great illustrations. Such a beautifully written book with glorious illustrations. This book has propelled my love for nature to a stratospheric level. He’s good he is, Evans. Always has been. 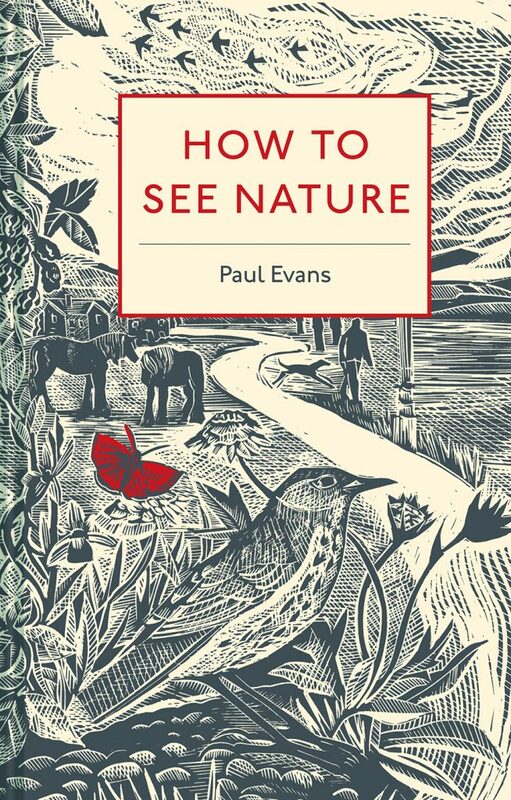 Paul is a great asset to this country for his beautifully written prose and the illustrations are wonderful visual representations of ‘How to See Nature’ . Great writer. Love the cover illustration. A beautiful book, with beautiful illustrations.